St. Jerome’s church liturgies are the core of our parish community. They offer the opportunity to come together to celebrate God’s love for us and our love for Him. 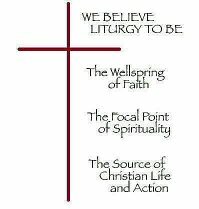 We believe Liturgy to be the wellspring of faith, the focal point of spirituality, and the source of Christian life and action. nt, Christmas, Lent, Holy Week, Easter, and Pentecost; special celebrations such as All Soul’s Day and Thanksgiving; the training and scheduling of Lectors, Eucharistic Ministers, greeters, altar servers, and ushers; and the general planning of the liturgical year. 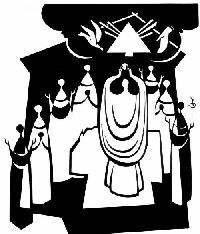 Liturgy Committee minutes are taken and are posted at the end of this page. If you would like to help Liturgy be the core of our community’s worship, please join us. We meet monthly, September to May, and welcome all interested parishioners. Altar Flowers are arranged by Sister Agnes to adorn and honor our liturgical table. If you would like to memorialize a family member or friend by donating flowers for our altar, you may do so by giving a donation of $50. The name of your loved one will be announced in the bulletin. There will be one donor per weekend. CONTACT: Pat Florio, Parish Office, 203-847-5349, at least two weeks before the date you choose.